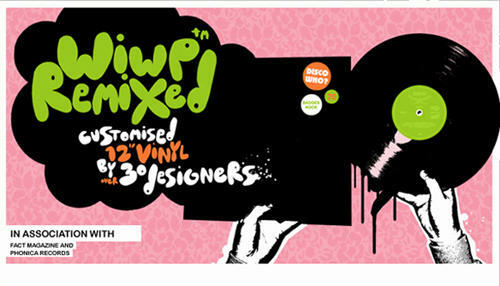 The Wear It With Pride REMIXED exhibition at Phonica Records will feature over 30 designer including work from the likes of INSECT, TADO, JEREMYVILLE, MYSTERIOUS AL, THS, THE BRAINBOX, SCARY GIRL, SAIMAN CHOW, RINZEN, KEEPSMESANE, KOADZN, SUPERDEUX AND BEAT13. Each designer was invited to customize a 12" vinyl record, which was personal to them and decorate it with whatever they wanted. The theme was left open and the space was to be used as imaginatively as possible. The vinyl will be central and most important piece in the show, but in addition to that, the sleeve and covers will also be customized to complete the set. The show will run for one month. For a full line of of the featured artists go check the Wear It with Pride website.